The device you wish your belayer owned: meet the CAMP Matik. The Matik is chock-full of features that aim to ensure the most comfort for your rope, gear, and climbing partner. The Matik is made entirely in-house by CAMP at their Premana, Italy headquarters. There, every aspect of it’s manufacturing is tightly controlled so CAMP is able to guarantee the highest quality. The hot-forged outer body is designed to move metal where it counts. The sturdy metal handle folds out making it noticeably more ergonomic and easier to operate while lowering. The critical parts inside the device, like the cam unit, are all precision cast stainless steel to ensure many years of use. CAMP hasn’t made any claims as to the exact lifespan of the Matik but they tout it will remain fully functional longer than any other mechanized brake-assist devices on the market. The Matik also incorporates the world’s first anti-panic feature that prevents climbers from being dropped by their belayer when the handle is pulled too far (more details below). Brake-assist devices have historically created a very static and abrupt catch, requiring the use of dynamic belay techniques in many scenarios. Good belaying technique means you adapt to your situation and CAMP has attempted to ease that strain. Initial internal testing showed the impact forces using the Matik could be reduced by a whopping 40% compared to other belay devices. The Matik is CE and UIAA certified for 8.6 mm – 10.2 mm diameter ropes. CAMP suggests the smoothest and most “optimal” range will be between 8.6 mm and 9.6 mm. It’s worth noting that the UIAA certification for rope diameters includes a tolerance of +/- 3 millimeters so you could have a “fat” 10.2 that feels like a 10.5 mm or you could even have a “skinny” 10.5 mm that feels like a 10.2 mm. One of the most laudable features of the Matik is the low impact force on the rope. The internal cam doesn’t squish or pinch the rope suddenly during a fall but instead performs a rolling action that allows for slight rope slippage that dissipates the impact force during a fall. Reduced impact forces are beneficial in almost every application and are of particular importance to climbers relying on sub-optimal protection. This also means that the Matik may feels like it “slips” a tiny bit, as the rope won’t dramatically halt, but this small slip allows for a smoother catch. The long handle allows for easier leverage while lowering a climber or during single rope rappels. The anti-panic system prevents excited climbers from pulling the handle to a fully open position and dropping their climber or themselves. When the clutch kicks in the device will automatically stop the lowering. You can resume lowering by resetting the handle. You’ll hear a click, and then the device is ready to lower again. This increases safety while lowering or single-line rappelling and is intended to eliminate the accidental opening of the device full throttle while panicked due to bad belaying skills. The wide attachment hole allows the carabiner to rotate completely making it easy to properly orient your carabiner. It also helps to ensure the carabiner won’t get stuck in a cross-loaded orientation as the locking gate won’t get stuck against the hole. The Matik is loaded by threading the rope through the top of the device, draping the rope around the cam, and then rotating the cam into place and locking it away. For additional safety, the Matik can be clipped to your harness only after it’s fully closed and the rope has been loaded around the cam. *The only way that the Matik can be loaded incorrectly is if the device is loaded backwards with the climber side of the rope is on the brake side of the device and vice versa. This mistake applies to all brake-assist belay devices as it prevents the device from braking. Both methods also have the benefit of keeping the rope on the same plane, avoiding twists and curlies. 1. Use a “trigger finger” approach: Hold your brake hand around the carabiner opening, and push against the steel plate while you hold the rope. Use your other hand to feed slack. This is quite similar to how the American Alpine Journal recommends holding a GriGri to ensure the brake hand never leaves the rope. 2. To feed slack faster, use your brake hand to bring up slack in the rope as you bring your brake hand back to the plate, and then pull the slack through the device quickly with your other hand. Belaying a top-rope climber is the similar to other brake assist devices and tubers. Take in slack and pull it through the device with your brake hand. Note: In a fall situation there is still the possibility for the belayer to hold the climber side of the rope which may prevent the cam from engaging. This behavior of grabbing the weighted rope may feel intuitive but it causes accidents and can burn your hands. It seems redundant to mention, but even with a brake-assist device that feels auto-locking you’ll want to keep your hand on the brake side of the rope at all times. This is still a very common mistake. 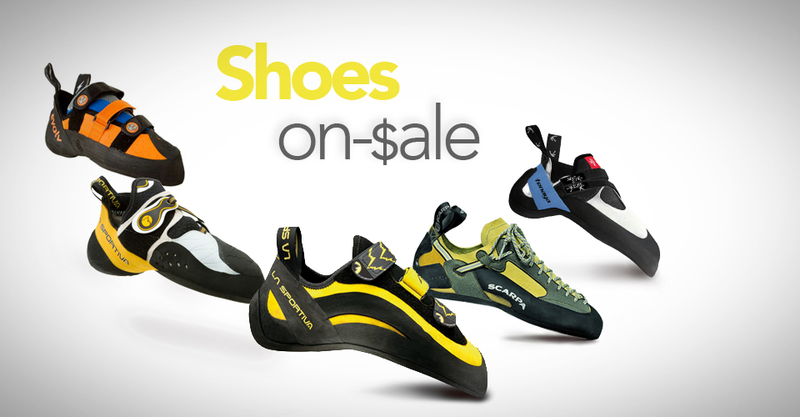 If price is not a primary concern, the Matik ($199.95 retail) is a great option for sport cragging and gym climbing. Safety conscious climbers will be particularly drawn to the features offered only by the Matik. Aid climbers, soloists, trad climbers and anybody who relies on mankey pro will all be seduced by the low impact force. And although there are no published studies available to compare the amount of wear that belay devices cause, the Matik does promise increased longevity of your gear due to the lower impact force. Climbers driven nuts by rope twists caused by other brake-assist devices should try the Matik too. Bonus: Ensure your newbie belayer friends never drop you to the ground when they borrow your device. This device would also be a great gift to any belayer (see all the retailers who offer the Matik, and the lowest price at the bottom of this post). It would make sure you, as the climber, had a smoother catch by your belayer while you project your route over, and over, and over. Gym owners may be the most excited with this device as it has additional built-in safety measures and promises a longer lifespan than other brake-assist devices (elephant in the room: the GriGri 2). The Matik has a big focus on usability and an extremely low impact force; major pluses when it comes to increasing the durability of everything in your system, from your rope to your pro to your partner. CAMP has spent a lot of time crafting the Matik belay device, adding features to improve safety and increase equipment longevity. Of course, climbers must decide for themselves if these impressive features justify the price, but I’ll tell you this, if my belayer was buying a new mechanical brake-assist device, I would definitely steer him/her towards the Matik. This seems like a really nice device, but at the price of $200 I really don’t know if it’s worth 2 times the price of a grigri. Agreed! That’s definitely the sticking point. Wonder how your lead would feel about your saving $50 and not buying a Matik as they were hurtling down towards the earth when your GriGri 2 or GriGri+ failed to engage because you yanked the lever back too far.